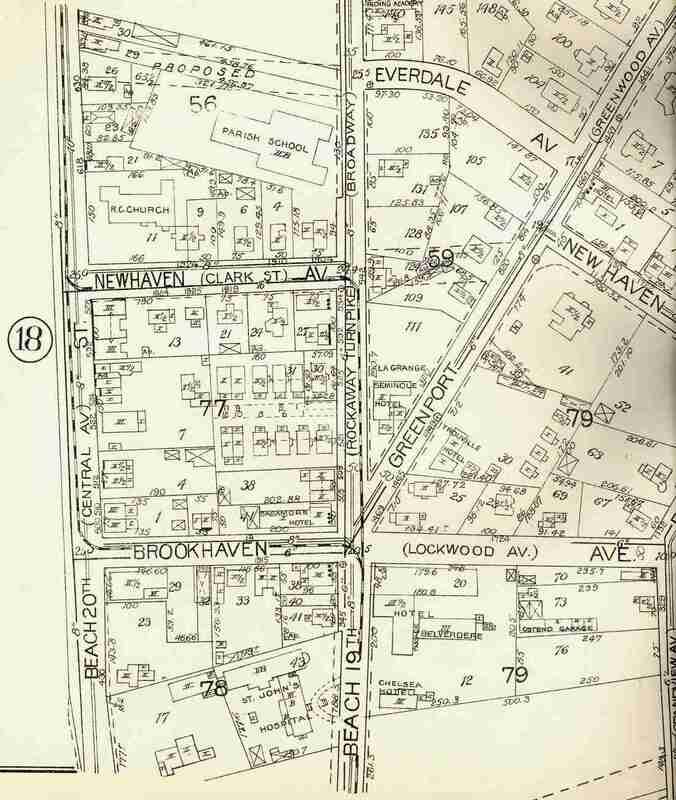 CHARTERED ON MARCH 6, 1886 AND OPENED JUNE 2, THE ROCKAWAY VILLAGE RAILROAD RAN FROM THE INTERSECTION OF CATHERINE STREET (CENTRAL AVENUE - BEACH 20th STREET?) 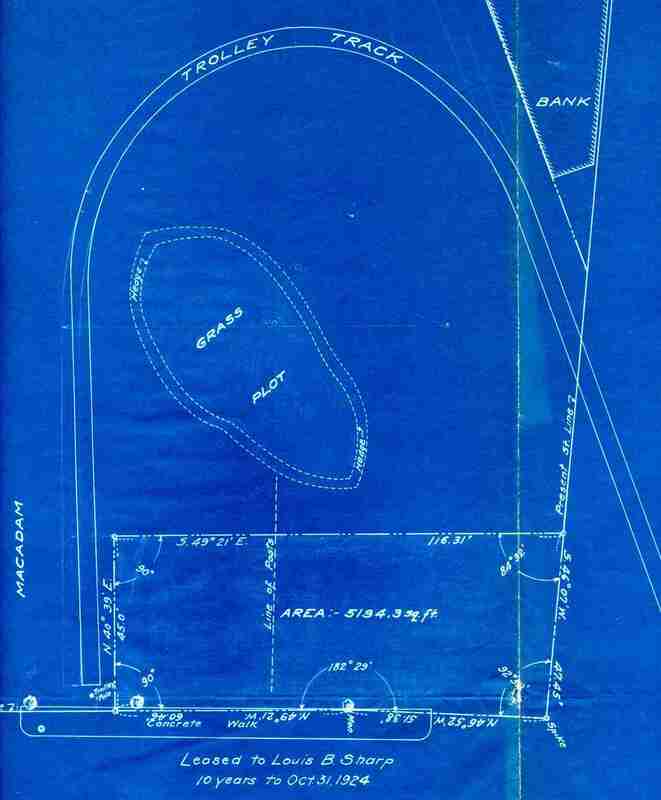 AND MOTT AVENUE, ALONG CATHERINE TO CLARK AVENUE (STREET), EAST ALONG CLARK TO THE "TURNPIKE" (BEACH 19TH STREET), SOUTH ALONG THE TURNPIKE TO ROCKAWAY INLET. ALSO CONTINUING ALONG CATHERINE FROM CLARK SOUTH TO LOCKWOOD AVENUE, EAST THROUGH LOCKWOOD TO THE TURNPIKE. THIS SINGLE TRACK, ONE MILE LINE HAD TEN HORSES AND FOUR SECOND-HAND CARS. 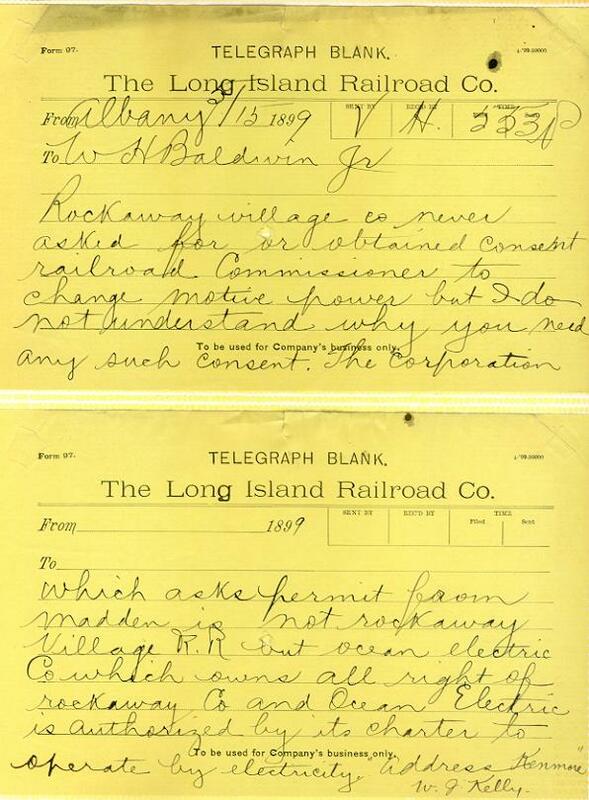 ON APRIL 15, 1887 THE ROAD WAS LEASED TO THE FAR ROCKAWAY RAILROAD COMPANY WHOSE CHARTER CALLED FOR EXTENDING THE LINE ALONG THE INLET TO "CAFFREY'S HILL". 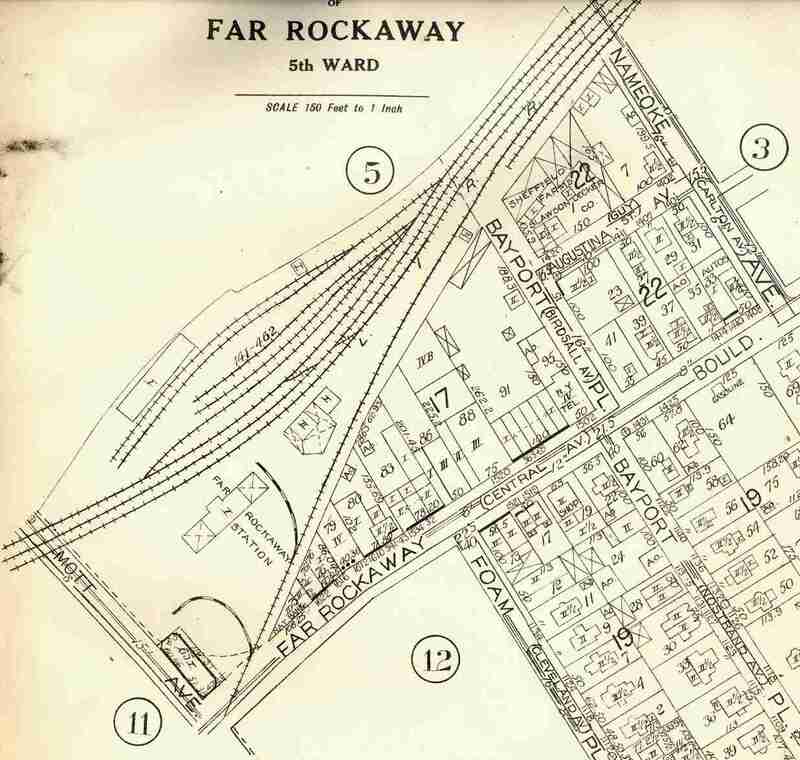 THE 1919 ROCKAWAYS ATLAS DOES NOT SHOW THIS EXTENSION. 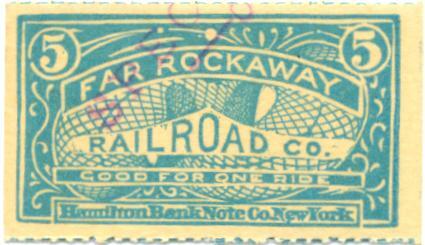 THE FAR ROCKAWAY RAILROAD WAS SOLD IN FORECLOSURE TO THE LONG ISLAND RAIL ROAD MARCH 18, 1898. 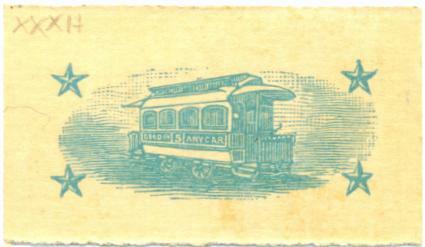 ON SEPTEMBER 21, 1898 IT BECAME THE FAR ROCKAWAY DIVISION OF THE NEW OCEAN ELECTRIC RAILWAY COMPANY. 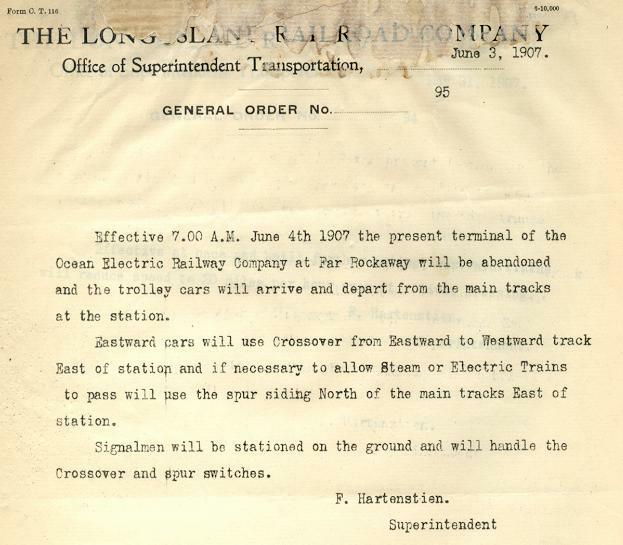 TWO ELECTRIC CARS WERE DELIVERED IN JULY, 1899 AND USED ON THE OCEAN ELECTRIC UNTIL 1900 WHEN THE FAR ROCKAWAY RAILROAD WAS ELECTRIFIED. 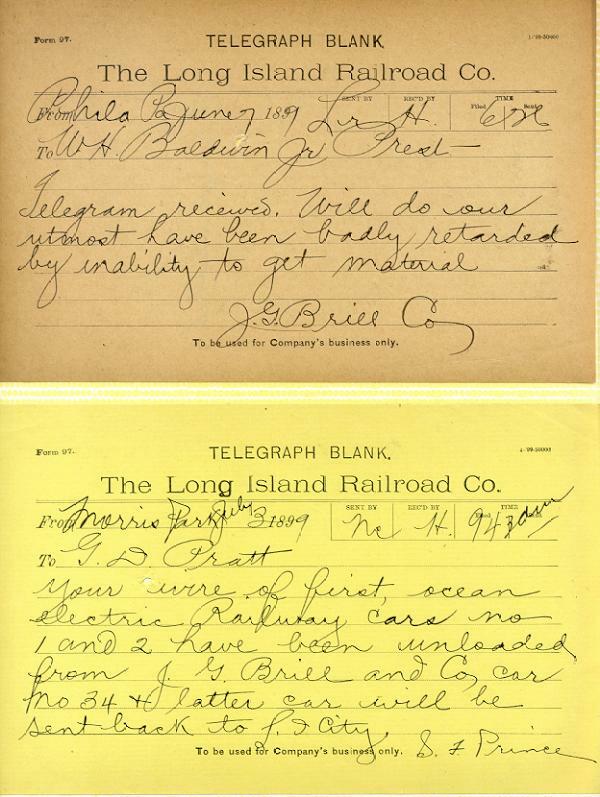 THE LINE CLOSED SEPTEMBER 14, 1924. 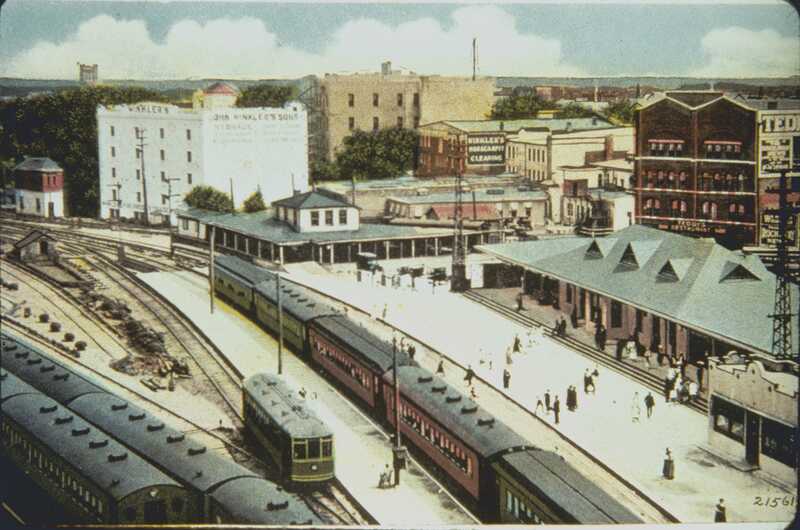 FROM THE INTERSECTION OF CATHERINE STREET (CENTRAL AVENUE - BEACH 20th STREET?) 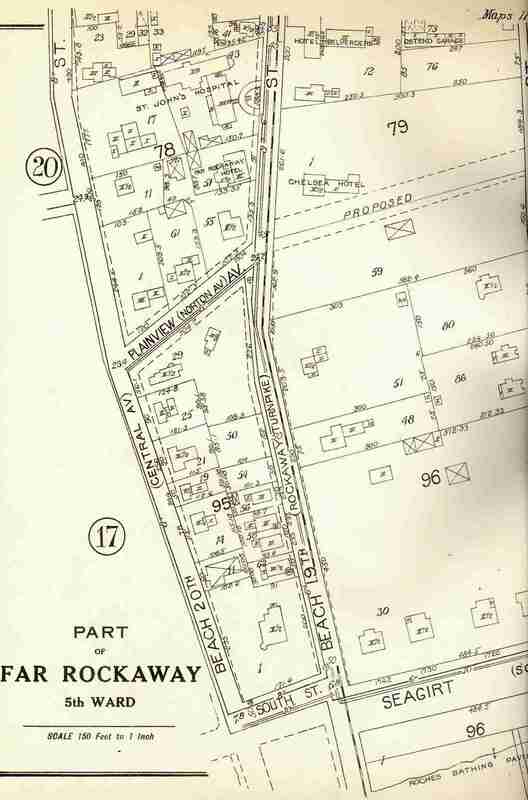 AND MOTT AVENUE, ALONG CATHERINE TO CLARK AVENUE (STREET), EAST ALONG CLARK TO THE "TURNPIKE" (BEACH 19TH STREET)..... ALSO CONTINUING ALONG CATHERINE FROM CLARK SOUTH TO LOCKWOOD AVENUE, EAST THROUGH LOCKWOOD TO THE TURNPIKE. 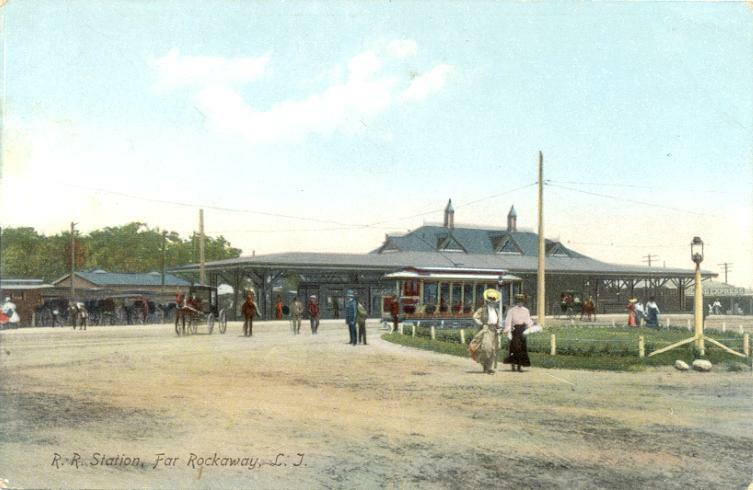 ROCKAWAY RAILROAD WAS THE NEARBY "LOCKWOOD'S GROVE".